Deck or Patio - Which is Right for You? You are here: Home / Blog / Deck or Patio – Which is Right for You? If you’re wondering if you should add an outdoor living space to your home, the answer is simple. Yes, you should. A deck or patio increases your enjoyment of your home by creating a place to relax, enjoy your plants or view and entertain. You will have more living space, at a lower cost than more indoor space. And if you later decide to sell your house, it will be more attractive to buyers. Now, if you’re wondering which you should build, a patio or deck, the answer is more complicated. Simply defined, a patio is an area outside your home that lies directly on the ground. It can be poured concrete or paved with stone, bricks, tile, or pavers. A deck is a raised structure with underlying support, typically constructed of wood or composite decking. But which is better? Initial Cost: All things being equal, patios are cheaper to build than decks. ROI or Return on Investment: The amount that an improvement increases the home’s sales price, compared to how much it cost to add, is the return on investment. All outdoor spaces have a very good ROI compared to indoor improvements, so either one is an economically sound choice. 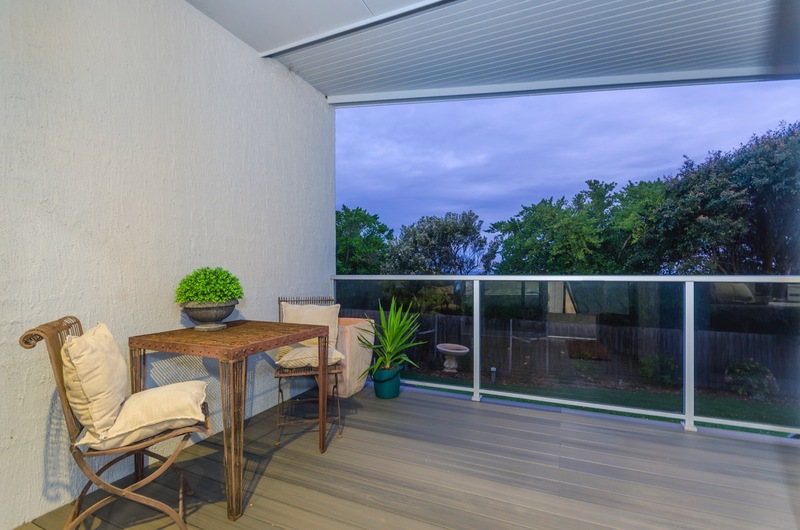 But decks typically have a greater, even double, return when compared to patios. 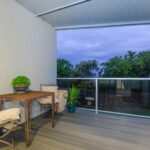 View vs. Privacy: Since decks stand off the ground, and can even be installed on upper stories or rooftops, they are the best choice if you have a view you want to enjoy. Patios are lower down, so they offer greater privacy from the outside world. The outside area: The price to create a patio goes up significantly if the ground is not extremely even. Leveling can double or even triple the cost and even when done, it may still not be satisfactory. Undetected ground abnormalities can cause the finished patio to crack or break. Decks are the best choice for hills and can be built over tree roots that would make a patio impossible. Decks are also better in any area where snow or rain create runoff or moisture problems. Maintenance: Wood requires periodic staining and/or sealing to keep it looking good, and to slow deterioration. However, composite decking requires significantly less maintenance than wood. Patios are relatively carefree, if they are properly built with no unevenness. They are however, easily stained by spills or even wet leaves and other plant material. Lifespan: Patios generally last longer than decks. But composite decking is resistant to bugs, warping, splintering and moisture damage, so it lasts longer than wood. Design features: Decks typically have railings and steps and they lend themselves to built-in seating and multi-level design. Patios easily incorporate fire pits, brickwork and more natural features such as landscaping design. If you are leaning toward a deck, or even still deciding, contact us to get some ideas on how a deck might work for you. We can show you the various products and accessories available. And we can also help you choose a design that will work to create the perfect outdoor addition to your home.